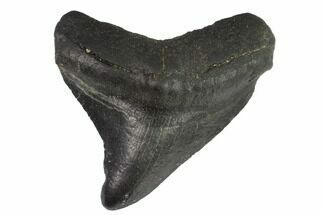 This is a serrated, Carcharocles angustidens shark tooth. 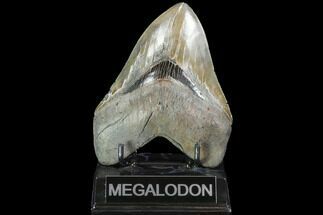 Angustidens is believed to be an ancestor of the fearsome Megalodon shark, though it did not grow as large. 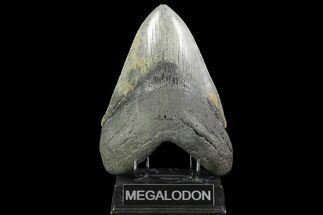 Carcharocles angustiden is a prehistoric, mega-toothed shark that stalked the Oligocene and Miocene epochs approximately 35 to 22 million years ago. 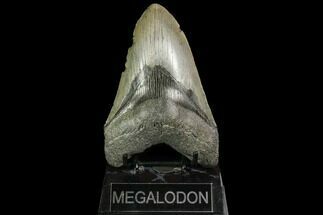 A terror of the open sea and widely distributed, it was only rivaled by other mega-tooth sharks and large raptorial sperm whales that patrolled their gradually cooling oceans. 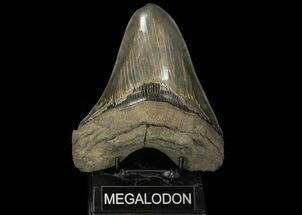 New estimations place C. angustiden length at 31 feet, which is 1 ½ times larger than the great white. 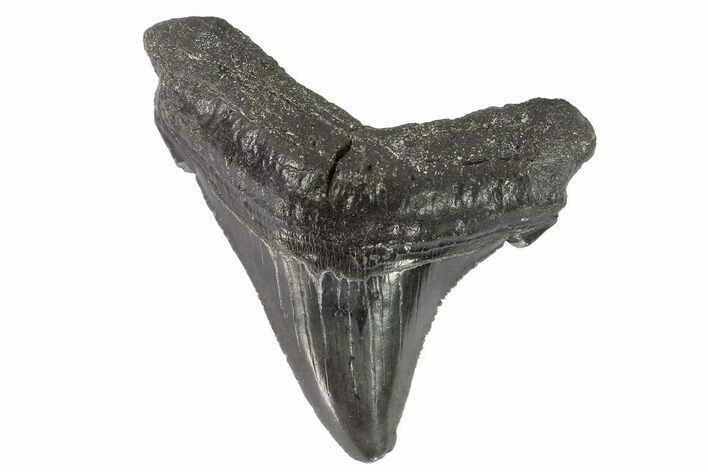 Fierce adults probably hunted small to medium sized dolphins, small whales, fish, and sea lions.‭ ‬The teeth of C.‭ ‬angustiden are triangular with fully-serrated edges that were perfect to shred a delicious pelagic mammal or chomp a fleeing penguin. 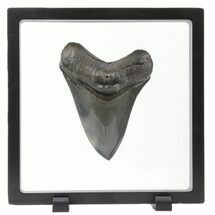 The dagger-like teeth display intriguing, small cusps at the base of the serrated edges. 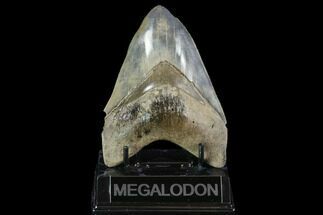 This feature is pronounced in its ancestors, yet absent in later mega-toothed sharks. It can still be observed as a remnant in C. chubutensis. 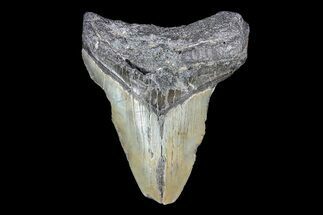 The Chandler Bridge Formation of South Carolina is a remnant of the Atlantic Coastal Plain where the Charleston Embayment received sediment loads from fluvial systems that buried and preserved excellent specimens. 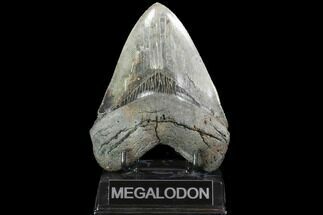 Many exposures have been eroded but some pockets survived in low spots of the irregular, underlying, Ashley Formation. 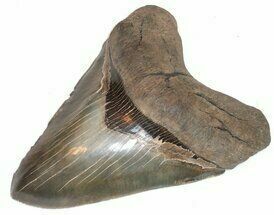 Fossil evidence depicts a cold water infusion from the north, an abundance of fish, and that beached whales were scavenged by crocodiles.